In an interview with the New York Times, Elon Musk sheds light on the dark side of pursuing innovation. He admitted that last year has been the most “painful and excruciating” year of his entire life, barely keeping himself together as he spoke, according to the New York Times article. Following rumors about the privatization of Tesla that had been stirring up since the beginning of the month, Mr. Musk officially went on twitter and admitted that he was considering taking Tesla from a publicly traded company to a private one. The tweet spurred significant debate on Musk’s reasons behind making such a move, with many citing Saudi Arabia’s interest in taking a considerable stake in the company through their Public Investment Fund. Tesla stocks shot up following the announcement, climbing up by 7% within a couple of hours. Elon Musk then went on to explain that “wild swings in our stock price that can be a major distraction for everyone working at Tesla, all of whom are shareholders” in a statement that was e-mailed to all company employees. He elaborated that with Tesla being private, it will allow the company to focus more on production, and to not have its decisions fall under the influence of outside forces. He cited SpaceX as an example of a company that is more ‘operationally efficient’ than Tesla, as it is able to focus on pure execution and long-term vision due to being private. 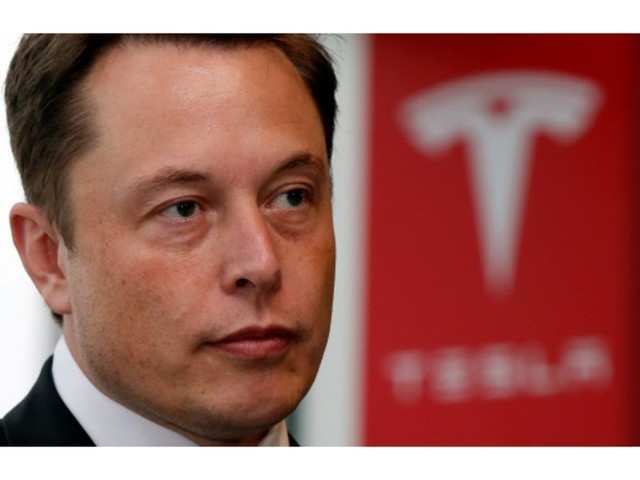 He assured employees that he has no intention of merging Tesla and SpaceX, and that all employees can choose to either sell their shares at $420 per share or continue to hold a stake in the private company. The announcement was followed by severe scrutiny and backlash. A federal investigation was launched into the incident as several lawsuits were fired against him for making the announcement on Twitter and not following the traditional channels associated with a decision like that. The ‘funding secured’ was called into question as Musk later said that it was based on speculation of Saudi Arabia buying into Tesla. It’s not the first time that his twitter account gets him in trouble. A popular incident is from earlier this year, when he was involved with the Thai Football Team rescue. He had attacked one of the rescuers on twitter and people blamed it on ego and desire for attention. Musk is known to be very sensitive when it comes to his image and that of his company, which is why this negative press has been affecting his health. On top of that, even though Tesla is the most valuable American car company, the company has actually not turned any profit yet since its founding in 2003, could be major contributing factors to his stress. This quarter, it reported losses of $743 million. During the interview, Musk talked about the pressures that this lack of profit has been putting on him and on the company. He said that his exhaustion has been taking a severe toll on his physical health, and that those who are close to him are really concerned. He said he almost missed his own brother’s wedding due to the pressures of work and of getting Tesla to meet its production deadlines. Musk is generally known to be one of Silicon’s Valley most arrogant and bold entrepreneurs, and yet he displayed both self reflection and vulnerability during the interview. He got emotional several times throughout, and reportedly had to stop talking several times. “There were times when I didn’t leave the factory for three or four days — days when I didn’t go outside. This has really come at the expense of seeing my kids. And seeing friends.” – Elon Musk, via NY Times. He even went as far as saying that he was willing to give up control of Tesla, if there was anyone else who was up for ‘doing a better job.’ This statement, coupled with the fact that he cited that he felt that the worst is yet to come when it came to his personal life, has raised several concerns among the investors as well as anyone who is invested in Tesla or SpaceX’s work towards environmental preservation and space exploration respectively. Many are questioning his current state of mind, and worried about what he does next. Writer’s Note: Regardless of the controversy surrounding Elon Musk’s specific case, stress is not a force to be reckoned with in the entrepreneurship world. The idea of taking care of your mental health as an entrepreneur has been largely discarded in the past as it seemingly contradicted with concepts of ‘doubling down’ and putting your all into your business. However, the concept of watching out for stress and burnout as an entrepreneur has been getting a lot of attention over the course of the year. Major business outlets like Forbes, Foundr, Inc. and Entrepreneur ME highlighted why entrepreneurs are particularly vulnerable to mental health deterioration. These articles are invaluable resources for entrepreneurs, and could help them recognize and navigate stress to prevent the development of serious health problems down the road.